2012 has ended on a high for Assured Bookkeeping, with us being awarded 2012 Small Business Of The Year, Runner-Up at the Nedbank / Pietermaritzburg Chamber of Business Awards. It is fantastic to have received external recognition for what we do but we will not become complacent. We will continue to provide clients with the same first-class service that our they are used to and which their testimonials confirm. The Assured Bookkeeping team wishes you a fantastic festive season and all the best for 2013, both personally and in business! Your payroll software will align to SARS’ legislation which is constantly being updated and changed & therefore your payroll will always be accurately calculated, with employees receiving the correct remuneration SARS has embarked on the appointment of companies as agents to collect outstanding tax owed to SARS by individuals in their employ. By using payroll software, any ITA88 Agent Notifications from SARS are easily managed. Errors can easily occur with manual payroll calculations. You need to ensure that you have accurate monthly EMP201 submissions to SARS, otherwise you will be exposed to penalties and interest. Payroll software also enables you to manage Leave – all types of leave can be recorded – & it maintains leave balances to ensure that all employee Leave statistics are correct. Another benefit is that, as well as knowing that their take-home pay has been accurately calculated, your employees will be provided with professional payslips which are beneficial to them when applying for loans etc. So, do you agree that it’s time to change to specialist payroll software? Purchasing and maintaining a specialist payroll system in-house can prove to be expensive and so many businesses choose to outsource the management of their payrolls to bookkeeping companies, such as Assured Bookkeeping, or accountants. Thanks for taking the time to read this article! Please feel free to post a comment. If you are a business owner, you need to be aware of The Companies and Intellectual Property Commission (CIPC) which replaced CIPRO as a result of the New Companies Act. CIPC – did you know that …………? It is a legal requirement for all companies (including Non-profit companies) and close corporations to file annual returns with CIPC on annual basis. If you don’t provide CIPC with correct addresses, you risk your submissions to CIPC being rejected. As a business owner, you need to be aware of CIPC and how it relates to your business. Credit control is a set of measures and procedures adopted by a business to ensure that its customers pay their invoices. 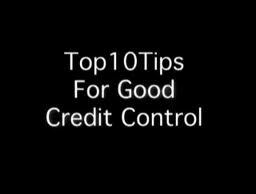 Here are a few tips for you to consider in order to optimise your business’s credit control. Rather than wait until month end, why not send invoices out immediately after the products or services have been delivered? Have a schedule for chasing payments. For example:Always adhere to your schedule! We often hear the same excuses for the non-payment of invoices, so have an answer to each of them in order to push past them and receive your payment! 10. Thank customers who pay on time! Let them know that you appreciate it. 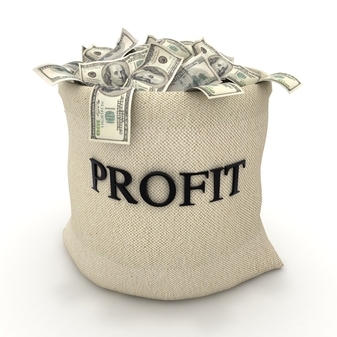 Cash flow and profit are different. Cash flow is the rate at which money comes into and goes out of your business (i.e. the availability of cash), whereas profit is the reason that we are in business! If you own a small business, it may have a negative short-term cash flow but be profitable in the long term, due to you having to pay suppliers before you get paid by your clients. On the other hand it could have short-term positive cash flow but still be unprofitable – for example a restaurant that collects point-of-sale income and that pays its suppliers on 30 days terms. Your bookkeeper’s monthly management accounts will give you an accurate picture of your company’s true financial position. Time is money, but many business owners do not put enough value on their time. How you apply your valuable time to your business is extremely important to your business. Many business owners juggle several hats at once, including the bookkeeping hat. However bookkeeping is often very technical and business owners are usually better off hiring a specialist, rather than doing it themselves. The cost of outsourcing bookkeeping is usually saved several times over in terms of time saving (the value of your time) and the elimination of errors when meeting your obligations to SARS. Many business owners don’t save receipts, especially for small amounts. However many small amounts quickly add up and if there is no record of something being purchased, it is unlikely to be recorded in your books. This can result in over-stated profits and overpayment of tax to SARS, as well as you not being able to claim back VAT from SARS on purchases without receipts. If proper checks are not in place, employees may have opportunities to steal or to commit fraud. This can have a significant impact on a small business. A third party bookkeeper often brings a fresh pair of eyes to a business and will suggest and implement solid internal financial controls. You will encounter problems if the person doing your books does not implement formal bookkeeping practices. Recording income and expenses to the correct categories ensures that your profitability is being generated accurately. Knowing the different ways in which taxes are applied to the different income and expense categories can also result in tax savings. Business owners often pay for expenses out of their personal funds and forget about them. Failure to account for these reimbursable expenses can result in lost money. Business and personal finances should always be kept separate. If you don’t have a business bank account, open one, then ensure that all business income and expenditure goes through that account. From time to time, business owners have to loan money to their business, especially at month-end in order to ensure that money is available for salaries. By transferring this money from your personal account into your business account, you enable your Bookkeeper to keep track of the profitability of your business. They will also be able to record how much you have loaned to your business in order that you know how much the business must repay you at a later stage. You will also be able to see how much salary the business can afford to pay you. It’s a fact. SARS is conducting more and more VAT audits – on businesses of all sizes. So if you are not complying correctly with the complicated VAT regulations, you could find yourself being hit with heavy penalties and interest. Another drawback is that the incorrect handling of the VAT in your books may result in overstated / understated profits and over-payments to SARS. Petty cash is a small amount of money that can be used to pay for small business expenses, such as stamps, tea, coffee and milk. Businesses often operate with petty cash, but have little knowledge of how to track it. Your business needs a system which allows you to track the movement of your petty cash. Click here for more information. Just as it is important to regularly backup your email, Word and Excel files, it is important to backup your bookkeeping files (e.g. Pastel or QuickBooks company). Not doing so runs the risk that a computer problem will result in months (possibly years) of bookkeeping information being lost which is a major problem given that SARS requires you to keep your financial records for several years. Each month, your business’s books must be reconciled (double checked) with your business’s bank statement. Reconciling on a monthly basis ensures that errors and omissions are corrected quickly, before they become significant problems. Be sure to keep an eye open for my next article in which I will explain another 5 common bookkeeping mistakes that small businesses typically make. Petty Cash is a small amount of cash that a business has on hand to use for transactions where the amount involved makes payment by anything other than cash a pain! Did you know that “Petty” comes from the French word “Petit”, meaning small? Below are six tips – all of which are easy to implement and maintain – that will help you manage your business’s Petty Cash well. 1. 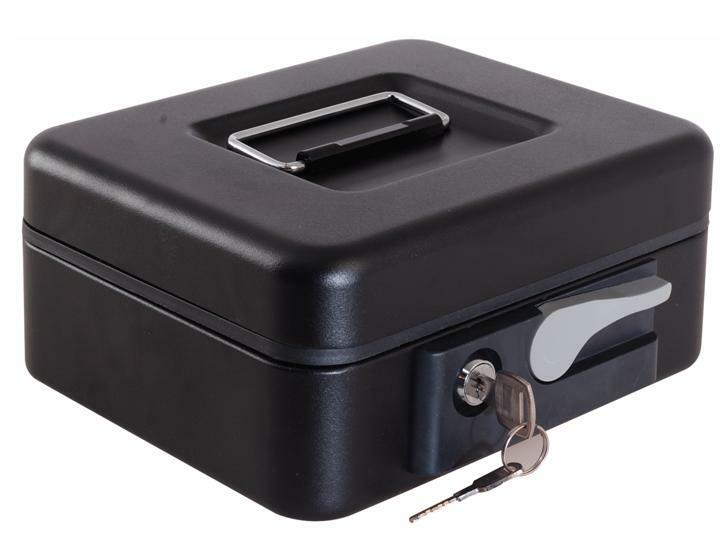 Set the maximum amount of Petty Cash to be held at any time as low as possible in case of loss or theft. You will need to balance the amount to be held against how often you will need to replenish it. When replenishing, ensure that you only take the Petty Cash back to the maximum amount and not past it. 2. The fewer people who have access to your Petty Cash, the better. If you, as the business owner have neither the time nor the inclination to manage Petty Cash, ideally just two give access to two people. By ensuring that the person who replenishes the Petty Cash is not the same person who records the transactions, you will reduce the likelihood of fraud. 3. 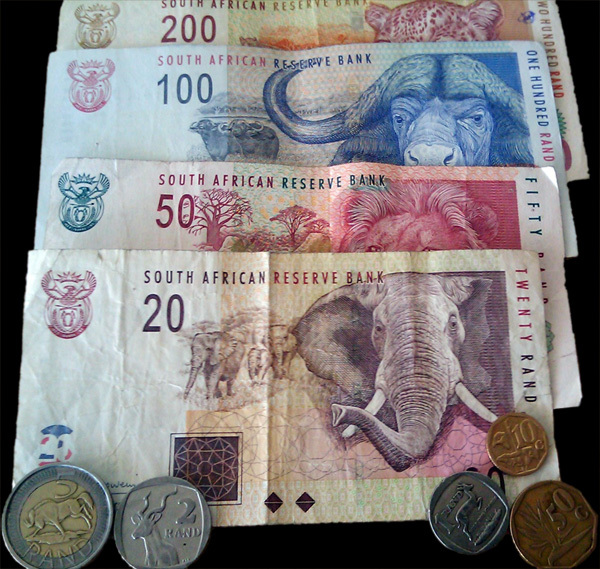 Use of Petty Cash must be documented in the same way as other business income and expenditure. This means that all corresponding paperwork (e.g. cash slips) needs to be kept. Use a Petty Cash Schedule, such as the one below, to record all transactions and to keep your Bookkeeper happy! 4. Count your Petty Cash regularly. This will be helpful if any unexpected losses occur, because you’ll be able to narrow down when it went happened. Record any discrepancies as soon as they occur. 5. Replenish your Petty Cash (only back up to the maximum amount) when you think you will be unable to go through a working day without running out. 6. 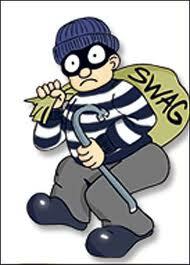 If you suspect that an employee may be stealing from your Petty Cash, restrict access to it and see what happens. 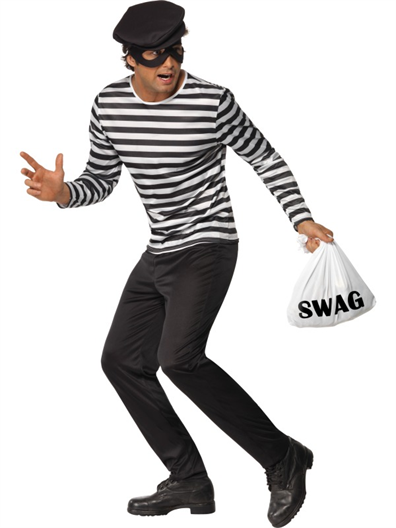 If you have proof of a theft from Petty Cash, contact your attorney or call the police before you make any accusations.